My writing is sometimes inspired by the most unusual circumstances. Let me explain further. My wife and I are currently having a screened porch built onto our home and as a result we have a large amount of building supplies on the property as well as a dumpster with scraps and the remnants of the deck that used to be attached to our home. During the course of the construction I have noticed that many others have chosen to use our dumpster to dispose of items they no longer want on their property. While on one hand this really makes me mad, it also brought an idea to mind that triggered today’s post. I live in country that accumulates stuff. I have stuff that I have not used for decades, but I choose to keep it rather than throwing it in garbage or the dumpster. My desk is an example of the same thing. Rather than efficiently disposing of items that I no longer need I have a tendency to keep things much longer than needed. This clutter takes up space and it also takes up time, valuable time, that might be better used for more productive purposes. Garbage is not a glamorous thing, but you can learn a lot about a person by viewing their garbage, especially what they choose to discard versus keep. This same analogy applies to how we apply our time. The more things we try to hold on to, the more time and energy they take. My hope today is to share a short list of guidelines that will help you better determine what to keep and what to discard. The more you carry, the more time and energy this will take. The length of your trip will determine how much you need to take with you. The longer the trip, the more you will need of some items. Shelter items are always needed, but food is a variable item when backpacking. The same is true when it comes to sharing and using your time. Any given project or activity has a minimum amount of time, but there are always variable components to your participation. If you choose to be a leader that will take more time. If you have led a similar project before that might save time. Know the journey before you decide how much time to invest. Understand the skills and experience of those traveling with you. 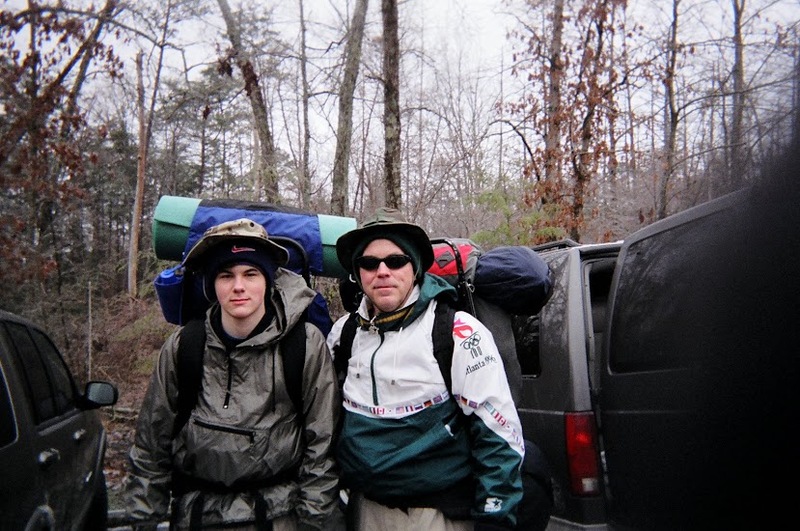 Backpacking with novices will be challenging, especially if they are not well trained and mentored prior to the trip. Some of the items I have seen fellow sojourners take with them are scary; heavy flashlights, lawn chairs; you get the picture. Those who have made similar journeys in the workplace understand the time and effort needed for a given project. Startup projects are especially taxing and having fellow team members with startup experience is essential. An ounce of preparation is worth a pound of effort. Be prepared for emergencies and unforeseen circumstances. When out in the wild you may be confronted by animals such as bears, or you may have medical issues arise that affect the progress of your group. The same issues will arise in the workplace and not being prepared for contingencies will either stall or cause your efforts to fail. Again, having experienced and trained team members can make a major difference in success and failure. A balance of new, trained team members mixed with skilled, experienced team members on a project is one of the most effective methods to achieve success. During the course of this post we have moved from garbage to backpacking. One of the most important items in backpacking is to “leave no trace”. This means that you leave the areas you stay in a better condition then when you arrived. Do the same on your work projects. Never leave a circumstance worse then when you arrived. The purpose of each of us is to serve and support one another. The work surroundings and those we work with are not unlimited resources to be used up and then discarded. Consider which sustainable practices you can employ in order to renew and improve those you come into contact with in your work. We will talk more about sustainable leadership in our next post.